Summertime is the perfect time to get outside and spend time with friends and family exploring all your city has to offer. From festivals to visual and performing arts events, live music to recreational activities, unique shopping to independent restaurants and breweries and so much more, the summer is packed with great things to do downtown – and DP&L Summer in the City is a celebration of all of it! Each year, we put together a handy guide and calendar that highlights dozens of great events happening downtown this summer. Watch for printed copies at downtown businesses and events beginning in mid-April, or download the guide here when it’s published. But that’s not all that’s going on! Our online events calendar is constantly being updated with more downtown events to check out during the summer and all year long, so be sure to visit it frequently. You also can sign up to receive our weekly “e-vents” email newsletter to make sure you don’t miss out on any of the downtown events and activities planned each week. Throughout the summer, we’re hosting a few special events in conjunction with some of our partner organizations and sponsors. Enjoy summer fun weekdays from 11:30 a.m. to 1 p.m. on Courthouse Square during The Square Is Where free lunchtime entertainment, including bands, games, trivia, food vendors, and more. With the highest occupancy rate in the region and hundreds of new residential units on the way, it’s clear downtown living is in demand. 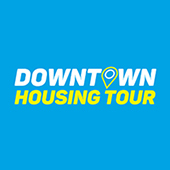 Check out a variety of homes, from condos and townhomes to apartments and chic urban lofts – and even get a sneak peek at some new projects still under construction – on this free tour! 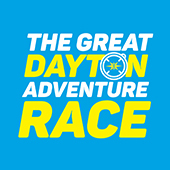 Sponsored by DP&L, WHIO-TV, Vectren, and the Greater Dayton RTA. Team up to race against the clock to find clues throughout downtown to win cash in the competitive division, or enjoy a more relaxed non-competitive scavenger hunt and enter to win raffle prizes. Sponsored by DP&L, Key-Ads, WHIO-TV, and Channel 999. Celebrate the arts with live presentations from some of Dayton’s best performing arts groups and kick off a juried art exhibition that places local artists’ work in downtown businesses. Sponsored by DP&L, WHIO-TV, and the Ohio Arts Council. Funded by a grant from the Jack W. and Sally D. Eichelberger Foundation of The Dayton Foundation. New for 2019, the Downtown Dayton Partnership is offering a public art grant for the Art in the City event on August 2. 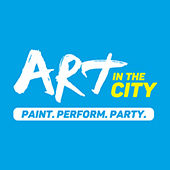 If you have a cool idea for an experiential art activity that you’d like to make a reality during Art in the City, take a moment and apply today. DP&L Summer in the City is presented by the Downtown Dayton Partnership and sponsored by DP&L and WHIO-TV, with support from the Ohio Arts Council.